From the packaging, to the finish, to the first track you sit and listen to - this is a quality product. I've had all my CDs ripped to a network drive (NAS) for some time, and enjoyed listening on my computer, but now I can access and play all my tra...Read morecks in the livingroom too. 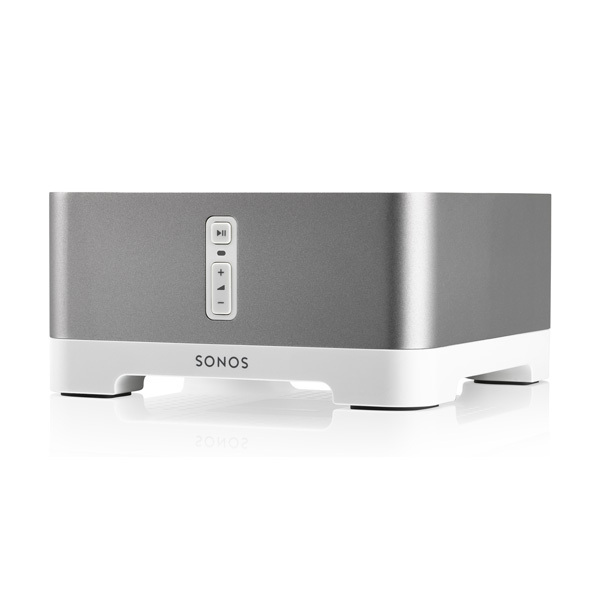 I don't have Sonos ZonePlayers all over my house (yet) but I don't think it'll be long. The ZonePlayer and its controller are a piece of cake to setup, everything worked first time. Instructions were clear when needed and the PC Software Controller and CR100 Controller connected without a hitch. My 30 day evaluation of Napster is awesome (allowing access to tons of streamed music) and I may subscribe when the eval ends. The line-in means I can run my DVD player through the ZonePlayer and speakers for decent movie sound. My Sonos system has changed the way I listen to music for the better. As far as household gadgets go - it's up there with the dishwasher and Sky+ - brilliant.